Purple Cowboy Trail Boss Cabernet is perfect for the dad who loves movies starring John Wayne, Clint Eastwood and Randolph Scott. This wine captures the love of all things western. It’s sturdy enough to stand proudly next to a Father’s Day feast of grilled Porterhouse steak, barbecued ribs and over-sized burgers. Prep and maintain your grill for barbeque success. Keep your grill grates clean! At the end of grilling, while grill is still hot, brush grill with a steel grill brush and then lightly oil with a clean kitchen towel. 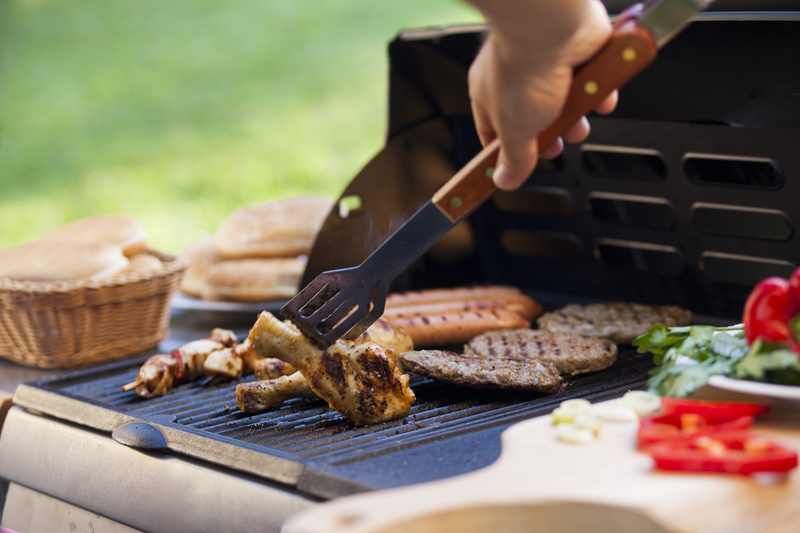 Avoid washing your grill grates with detergent or abrasive cleaner. Much like a good cast iron pan, your grill will form a layer of carbon and become a non-stick surface—but only if you don’t use harsh cleaners! Essential grill tools: Long pair of heavy-duty, spring-loaded tongs, long heavy-duty spatula, long-basting brush, long-handled stiff metal grill scraping brush and a spray water bottle to extinguish flare-ups. Except for the spray bottle, commercial restaurant grade is best! Webrestaurant Store and Amazon are good on-line sources. For either gas or charcoal/wood grills: be sure to preheat grill with lids closed for three minutes and re-oil the grill grates prior to grilling. Thinner cuts should be placed directly over heat (direct heat grilling). Larger, thicker cuts should be cooked away from the source of heat with the lid closed (indirect heat grilling). Handle meat a little as possible during cooking. 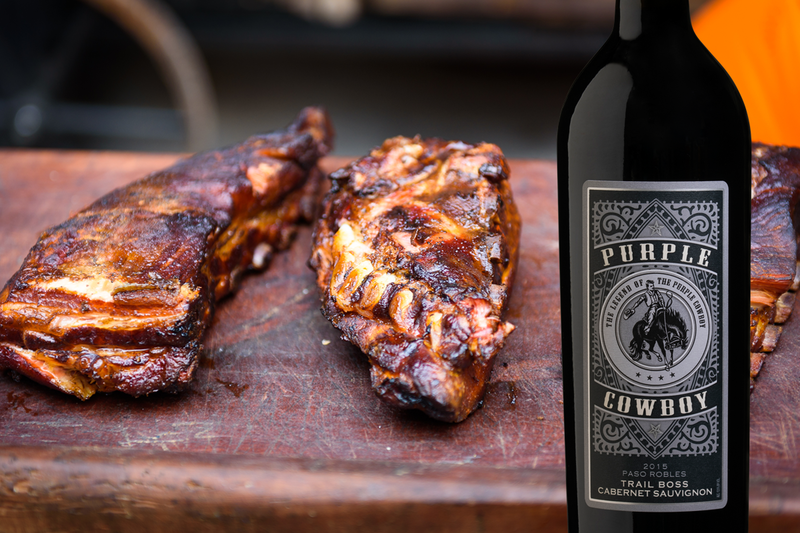 Cheers to a fantastic Father’s Day Feast! Tough Enough To Wear Pink Reaches $25 Million Raised! Making a big impact—one small donation at a time. A milestone was reached Monday night at the 12th Annual Wrangler® Tough Enough to Wear Pink™ (TETWP) Night at the Wrangler National Finals Rodeo. The grassroots cowboy campaign has exceeded the $25 million fundraising mark! The campaign was created in 2004 by Wheatley, wine industry executive and matriarch of a professional rodeo cowboy family and Karl Stressman, former director of special events for Wrangler and now Commissioner of the Professional Rodeo Cowboys Association (PRCA). The idea was to raise money and awareness for breast cancer by challenging rodeo competitors and fans alike to wear pink. Wrangler is the title sponsor of TETWP and a portion of proceeds from everything sold within the Wrangler Tough Enough to Wear Pink merchandise collection goes back to the campaign fund. Along with the generous support of western businesses such as Wrangler, Montana Silversmiths, Twisted X Boots and Purple Cowboy wines, Wrangler TETWP relies on the hard work of regional rodeos and western events across the country. The strength of the campaign is funds raised stay locally to benefit community breast cancer charities. It is the dedication of volunteers on the ground at local events that drives the campaign. 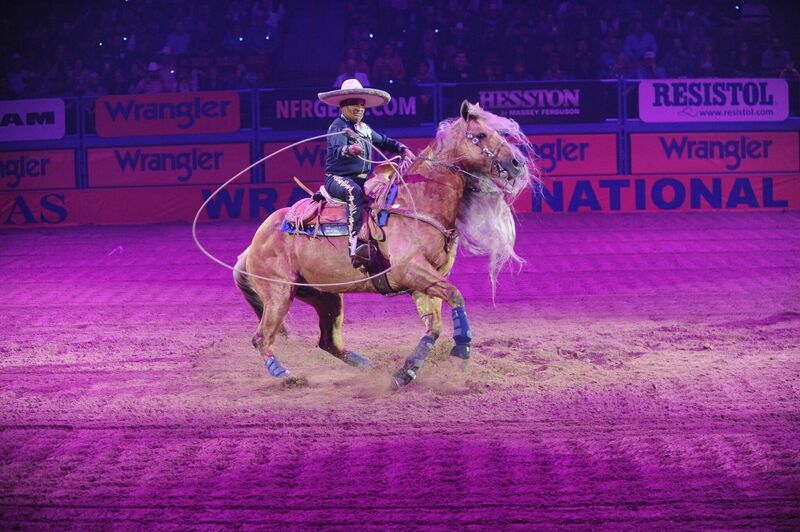 “More than 300 rodeos and events participate each year, with the support of Wrangler, the title sponsor of this campaign. Small donations add up to make a tremendous positive impact for families facing breast cancer and the entire community,” commented Wheatley. A notable example of the grassroots efforts is the Cattlemen’s Days Rodeo in Gunnison, CO. A long-time Top Five Wrangler TETWP fundraiser, the Gunnison western community has raised close to $2 million over the years to support the fight against breast cancer in their hometown. Among their goals is to make Gunnison Valley Health the number one rural hospital for breast cancer care in the U.S. by providing funds for services, medical equipment and support. Money raised by the campaign also financed the purchase of a patient transportation vehicle. The 2016 Ram 1500 truck, custom-wrapped in the Wrangler TETWP logo, is designated to safely transport Gunnison breast cancer patients requiring advanced treatment to medical centers outside the small community, such as in Denver. These journeys can take up to 200 miles one-way over winding country roads and narrow mountain passes. When it’s way too hot to turn on the oven, it’s time to take dinner outside! This summer we suggest spicing things up and trying a new recipe for simple chicken skewers that will have your dinner guests asking for seconds. Pair these chicken skewers with a batch of Mexican street corn and pour a round of Purple Cowboy Rancher’s Rosé and you’ll really hit dinner out of the park! Looking for our Rancher’s Rosé near you? Contact us here and we’ll be happy to help you track it down. Remember, it’s also available online if you’d like to order today. More in the mood for beef kebabs? Pair them with Purple Cowboy Tenacious Red or Purple Cowboy Trail Boss Cabernet! Bring three quarts salted water to light simmer in a large saucepan. Prepare corn butter: Put cumin into small skillet and toast over medium heat, tossing frequently. Pour into plate to cool. Be careful not to burn! Combine cumin, softened butter, lime zest, lime juice, chile, adobo sauce, garlic and salt in small bowl and mix well. Taste and add more salt if desired. Put mayo into bowl and have a brush handy. Put cheese in shallow bowl or rimmed plate. Place corn in lightly simmering water for two minutes. Remove corn from water and reserve on dish with paper towels. To serve, brush each ear of corn with mayo. Follow by brushing grilled corn with butter mixture. – Finally, roll in grated cheese to coat. Cut corn into fourths with sharp chef’s knife and arrange on serving platter with the lime wedges. Note: Corn may also be grilled over a medium fire on a charcoal grill. To prepare, carefully pull back husks from the corn and remove the silk. Tie the pulled-backs husk in a knot and place on a grill, turning occasionally until tender and browned in spots, about ten minutes. Note: You can substitute Queso Anejo for another hard Mexican cheese that can be grated such as Cotija or enchilada. Italian Romano or Parmesan can also be used. Purple Cowboy: Pretty in Pink! There’s a saying in the Western world that “Real cowboys wear pink.” And boy, they look good. Now, those cowboys can take it a step further and drink pink, too! Introducing Purple Cowboy Rancher’s Rosé! Our limited edition Purple Cowboy Rancher’s Rosé is sourced from Pinot Noir on California’s beautiful Central Coast. The wine showcases aromas of wild strawberry, cherry, and light floral notes. This is our thirst quencher go-to and is certainly going to be your favorite also. The perfect wine to enjoy the outdoor sunshine, share with friends, and serve at dinner. 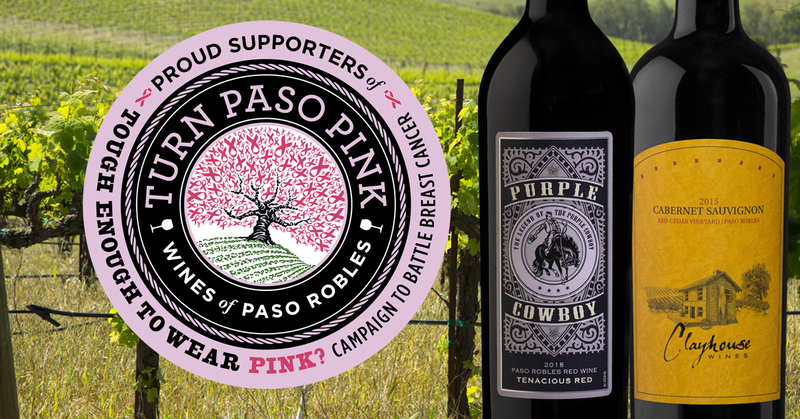 Purple Cowboy wines are proud to support breast cancer awareness and research through Tough Enough to Wear Pink. Just remember, Support Pink – Drink Pink (or Purple)! Pairing food with rosé is simple, especially during the warmer months of the year. Think about the foods you love to eat when the temperature rises outside: grilled vegetables and lighter proteins like chicken and seafood, fresh salads, bruschetta and even lightly-sweetened fruity desserts.